Initiating a debate on the Insolvency and Bankruptcy Code (Amendment) Bill, the former Finance Minister, while supporting the bill, pointed out various clauses which according to him would deter Indian companies from participating in the process. 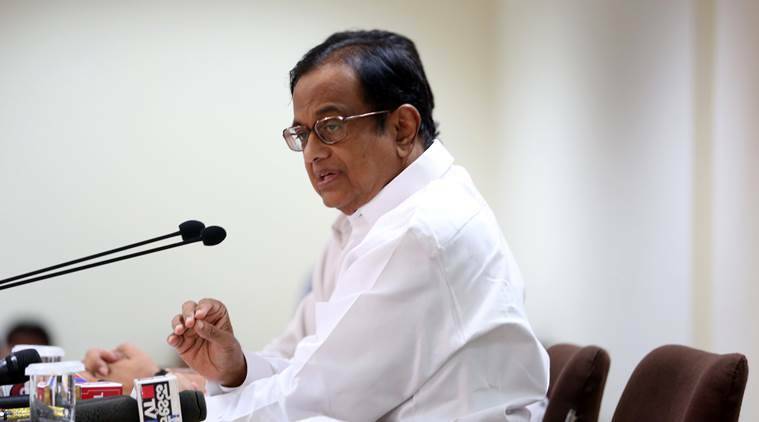 Opposition in the Rajya Sabha today asked the government to identify willful defaulters of bank loans, as Congress leader P Chidambaram said the ordinance to amend the insolvency and bankruptcy code would benefit foreign companies and entities over Indian firms. “I think one should have been a little more rigorous in the exclusion clauses. One should have kept exclusion to a very, very small number which definitely must be excluded. But I am afraid by making the clauses so broad, so over-inclusive, practically everybody in the financial world is likely to be excluded,” Chidambaram said. Listing out the consequences of various deterrent clauses like provision of leaving out anybody who has been convicted for two years from the bidding process or one prohibited by SEBI, he said very few people in India will be able to bid. “This worry is raised by a number of people. It is quite possible that asset reconstruction companies and alternative investment bodies will turn out to be the bidders. Most of the Indian companies which go through the resolution process will pass from an Indian to a foreign management,” he said. He said he had no objection to foreign companies coming to India but a level-playing field should be created for adequate participation of Indian companies. “This very over-inclusive ordinance, in my view, will keep out a large number of Indian potential investors. The danger is most of these companies will go the the control of foreigners or multinational firms,” Chidambaram said. He said the second major concern was lack of a bidder for a company as a ‘going concern’. “Second danger is the concern that there is no bidder for a company as a going concern and we will end up selling these companies in a bits and pieces. That is the worst result of this insolvency code,” he added. For the sake of employees, the company, which is undergoing insolvency process, must be allowed to survive. BJP’s Bhupender Yadav while supprting the bill said over 500 aplications for insolvency have been filed with the National Company Law Tribunal. Naresh Aggarwal (SP) asked the government to throw light on insolvency professional and also asked if the bill would help in checking the NPAs of banks. A Navaneethakrishnan of AIDMK supported the bill, saying agri loans and educational loans should be excluded from the purview of NPAs. Sukhendu Shekhar Roy (TMC) said there was a need to identify willful defaulters of bad loans. Attacking the government for being non-serious on recovery of non-performing assets (NPAs) that are estimated to have touched Rs 10 lakh crore, D Raja (CPI) sought to know “why the government is afraid of corporate companies” and not publishing the names of defaulters. He also expressed concern over ‘big haircuts’ or discounts and sought to know if the government was in a situation to take tough action. Raja also observed that the law was earlier passed in a “hurry” and therefore had to be amended now. Supporting the amendments, Jairam Ramesh (Cong) raised concern about lenders taking “big haircuts” or discounts on claim value of NPAs and asked if this is going to be a “norm”. It is “worrying and disturbing” that haircuts have been in excess of claim value of NPAs in the first three cases of insolvency resolution scheme, he said. “In the first case, the haircut was 76 per cent, in second case, it was 74 per cent and in the third case, it was 80 per cent. Is this an acceptable situation? Are these aberrations or are they going to be a norm,” Ramesh asked. With regard to MSME sector, he sought to know if there would be a “differential criteria” for the sector. He also urged the government to think if the bill was restricting the free competition in sectors like steel and telecom. TKS Elangovan (DMK) said some firms were inundated in Chennai during 2015 floods and could not service their loans for three months. As a result, the companies were declared insolvent. Stating that human element was missing in handling NPAs, he said there was no direct involvement of bank officials in recovery of loans. “If human element is present, half the NPAs will go,” he said. Supporting the bill, Satish Chandra Misra (BSP) asked the government to clearly define “the kind of offences” while imposing penalty with imprisonment on defaulters and also who will be punished for the default. He also sought clarification on disqualification of directors and their re-elgibility. A U Singh Deo (BJD) wanted know the definition of “insolvency professionals” and their nature of work and suggested to the government to exclude promoters from insolvency process on a “case to case basis” and not make it a general rule. “The board should be empowered to take a call. …Banks and financial institutions should be allowed to take informed decision,” he added. V Vijayasai Reddy (YSRCP) sought to know the definition of conviction under the bill, while T Subbarami Reddy raised about sweeping powers given to creditors to go against firms. Tapan Kumar Sen (CPI-M) expressed concern over the understanding that making a negative list of defaulters would delay the process of recovery of bad loans. He also pointed about huge haircut saying it defeats the purpose of the bill. “Why should there be haircut when public money is involved? They (defaulters) should be punished. Due corrections are required to prevent any kind of haircut on part of financial institutions,” Sen said. Anil Desai (Shiv Sena) raised concern about layoffs that could take place when companies go for liquidation process and urged the government to protect the interest of employees. Harivansh (JD-U) said the amendment bill will restore the credibility of the financial institutions, while Ajay Sancheti (BJP) said it will instill fear in corporates.